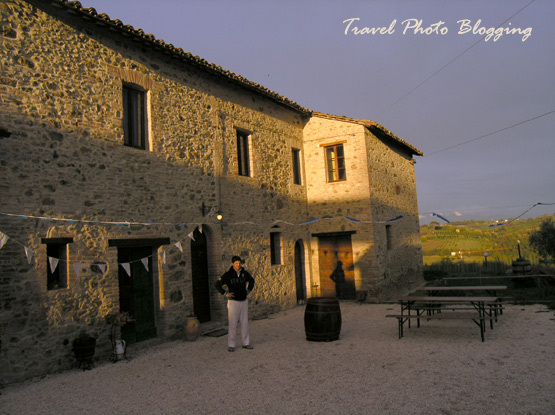 After leaving Gubbio (you can read about our short visit in the previous post) quite a bit earlier that we would have liked, we soon entered the region of Marche and at the same time left Umbria behind. By this time we were already heading back northeast - in the direction of Slovenia. We were hoping for a bit of sunshine but the ride from Gubbio to Urbino was obviously not long enough for a change of weather. Not minding the weather too much, we parked our car relatively close to the city gate at the north-eastern part of the town walls. 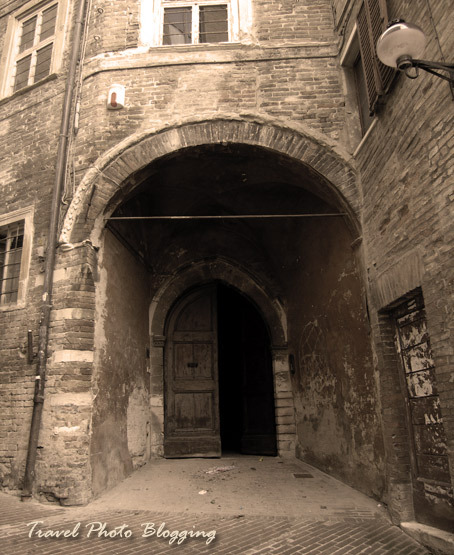 The thing with these old fortified towns is that you can not always choose your point of entrance. Thick stone walls usually do not have all that many entrances. This is an obvious consequence of a defensive strategy that was vital in medieval times when most of these fortifications were built. The obvious lack of space inside the old town is not the most convenient thing for a modern tourist, who would love to drive at least to the apartment door. Here we all had to park outside the walls and walk the narrow cobbled streets in rain. In my opinion this is a small price to pay for keeping the old charm alive. After a slow, rainy stroll around the town we decided not to move on until the next day - that is if we found a suitable accommodation for the night. We were aiming towards some budget options and surprisingly a nice lady at the information office in the old town center provided a couple of options. Since we learned we could find accommodation for 60 Euros (that's for both of us), we decided to stay in Urbino. 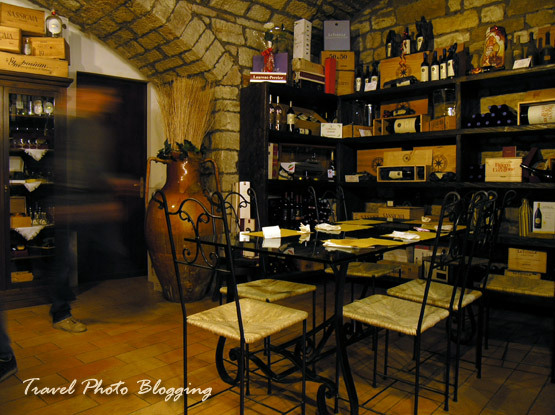 We opted for Albergo Ristorante San Giovanni. It is a small two star hotel where we got a nice double room with a bathroom for the mentioned price. It was nothing special but definitely clean, cosy and affordable. They also offer cheaper rooms but I guess those don't come with a private bathroom. Spending the night in Urbino meant we could really relax that evening and even have a walk through the streets the following morning. We treated ourselves with a nice dinner. It was a bit on the expensive side but very tasty. 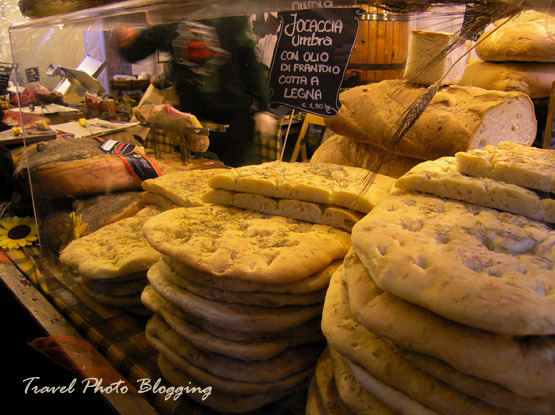 We also bought some local bread (it is called Focaccia Umbra) and goat cheese. This made for a perfect travel snack the next day. We also tasted a few different local cured meats. Simple but delicious! 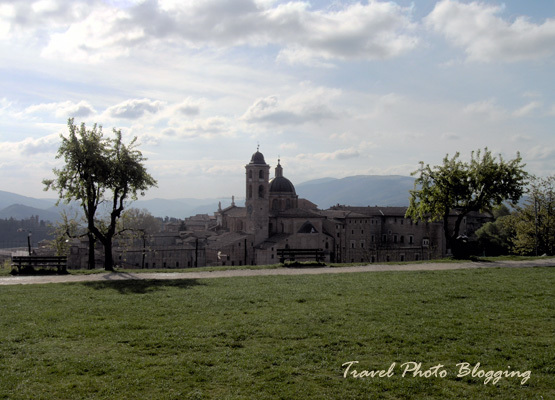 Among the things worth visiting when in Urbino are definitely the Palace of the Dukes of Montefeltro (Palazzo Ducale) and the town's Duomo. They can be found next to each other in the main square. A walk to the top of the hill to Fortezza Albornoz is also worth the effort. It's position offers a great view of the town and surrounding hills. 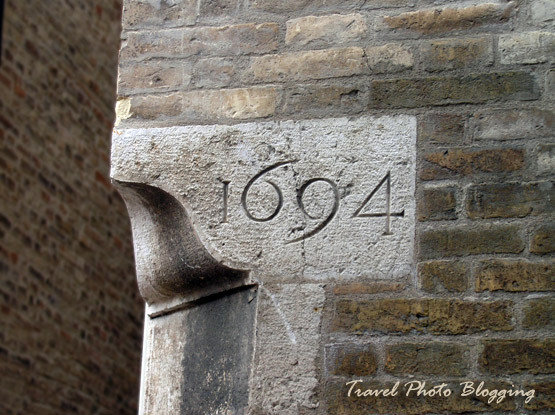 On Via Raffaello, there is also the birthplace of town's most famous person - Raphael. The Casa Natale di Raffaello doesn't have much to offer - only one of his works is on display but you can see where Raphael and his father mixed their pigments. If you are a plant enthusiast, there is also a small botanical garden nearby (Orto Botanico). It is full of rare plants. Apart from the mentioned sights, we found Urbino a great place to wander around, drink a cup of a good coffee and take some time per guardare la gente che passa. 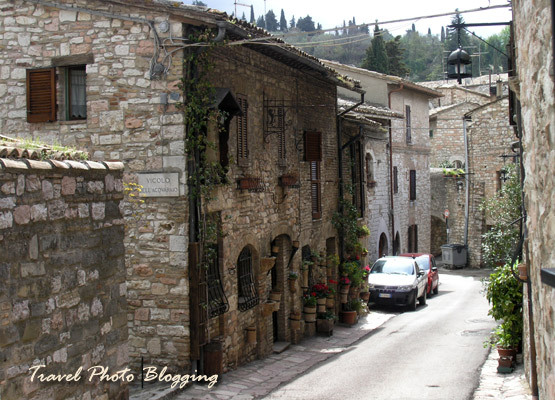 Assisi is an old hill town just 19 km (i.e. 12 miles) east of Perugia. 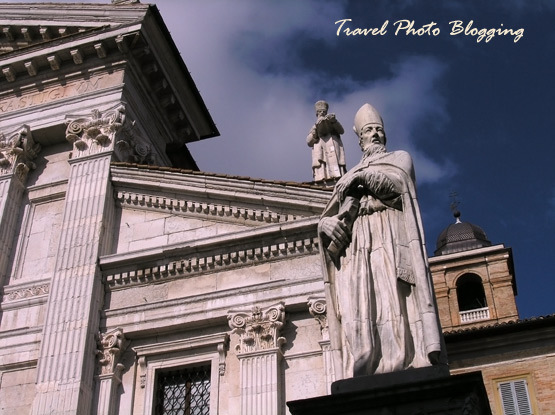 It is best known as the birthplace of St. Francis of Assisi - founder of the Franciscan order of monks in 1208. 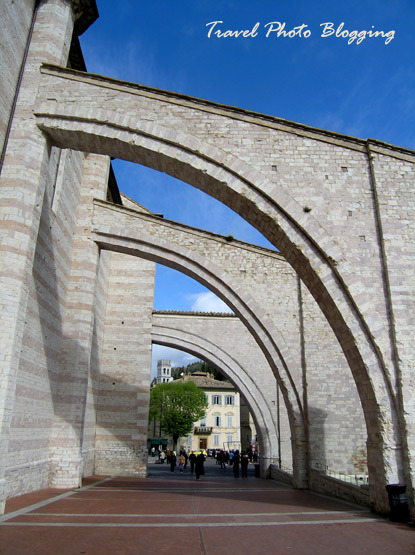 St. Assisi is also the patron saint of Italy. 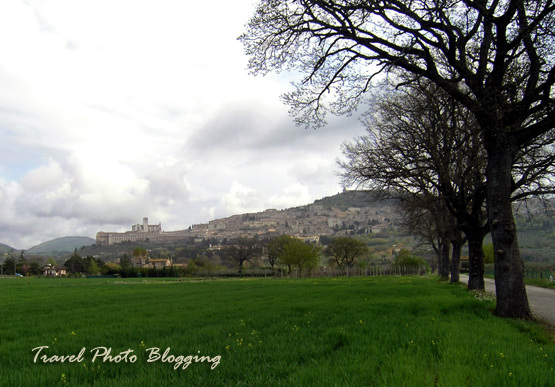 Another famous saint is connected to this area - St. Clare, upon learning of St. Francis, left her affluent home and entered into monastic life. She established an order of nuns still in existence today -they are the Order of the Poor Clares. The town itself is perched on a 400 meters high hill and looks charming even from the distance. When you enter through one of the gates built into an impressive wall, you can see a huge cathedral, impressive basilicas and there is even a convent. 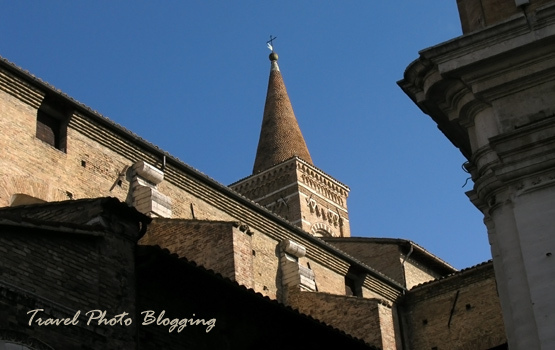 Basilica di San Francesco is filled with spectacular frescoes by Giotto and well worth a visit. The thing I disliked about this town the most was how crowded it was. This is no wonder since 4-5 million visitors come hear every year. 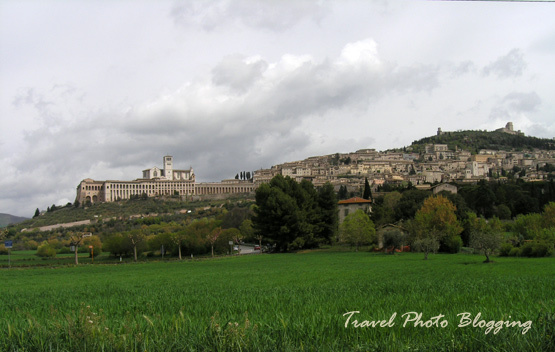 For many of them Assisi is a pilgrimage destination. Since the town is not very large (it only has around 3.000 inhabitants) it is definitely quite a challenge to make them all feel welcome. I guess it is no surprise, the whole town looked like a one big souvenir shop to me. Don't get me wrong - it is well worth a visit and one can definitely find some less frequented streets but I simply didn't feel it. The lack of time (only half of a day) could also be one of the reasons for not getting overwhelmed by this old town. If you are an iPhone or an Android phone user, you probably already know Instagram. If not, you really should get to know it now. For quite some time this app was reserved for iPhone users only but when it also became available for Android it really got popular. Since lately it also has all the cool features on both platforms. Look for it on Google Play - it is free. Below is a simple example of a photo with one of many available filters applied in Instagram. It is really easy to get great results with this tool. It is one of my favorite mobile apps. Since it produces really great photos I thought of implementing it into Travel Photo Blogging for a while now. So when I found this SnapWidget that does just that, I simply had to fit it somewhere inside my sidebar. It is easy to customize and I think it looks great. You can check it out in the bottom part of the right column of this blog under the title Our Instagram Feed. You can also check out our Instagram feed on this link or search for us under the username travel_pb. 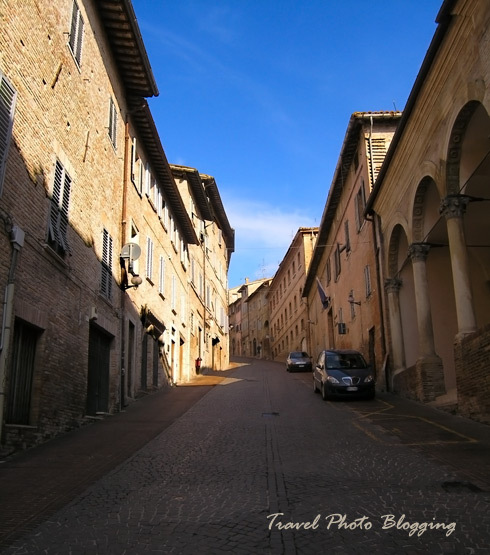 Even though Perugia is not the most impressive of the old towns in the region of Umbria it has something that is probably worth a trip on its own. WARNING! All of you chocolate junkies out there, that might be on a diet at the moment, should be warned not to continue reading. Further reading might put your past achievements at a serious risk! You have been warned. 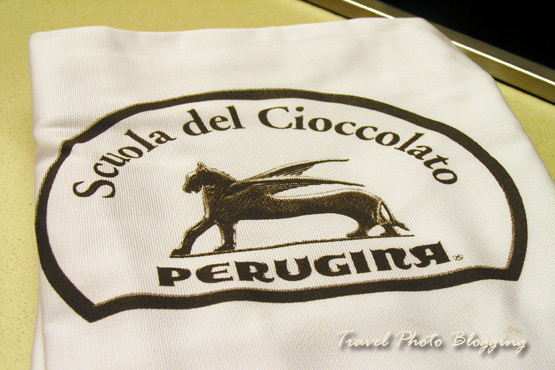 A visit to Perugina Chocolate factory (they make the famous Bacci chocolates) was on our travel list for quite some time. Who am I kidding here... this obviously was an item on M's list - I was just tagging along this time. Let's start at the beginning... For quite some time M. was looking at various travel agencies that include a visit to this chocolate factory in their itineraries. Apart of this being a rather expensive way of doing it, those agencies usually also include things we don't fancy so much. If you have been following this blog you have probably noticed we are not the sheep type of tourists who enjoy the comfort of a large herd and love tagging along their trusty tour guide. We prefer tailoring our trips to our own needs and love the freedom of changing our itinerary on the go. This was enough to decide we want to do this trip on our own. In the research and preparation stage of this trip M. tried to reserve a spot in one of the available classes. Finding the contact on their homepage was not the most straightforward thing to do but that was nothing compared to communicating the whole thing with them in Italian. Luckily we do speak a little bit of Italian. If you are also looking for a direct contact with them you can find the application form here. If Italian is not your thing, try translating it in Google Translate. When M. tried to reserve her space behind a cooking stove, they informed her everything was already full. 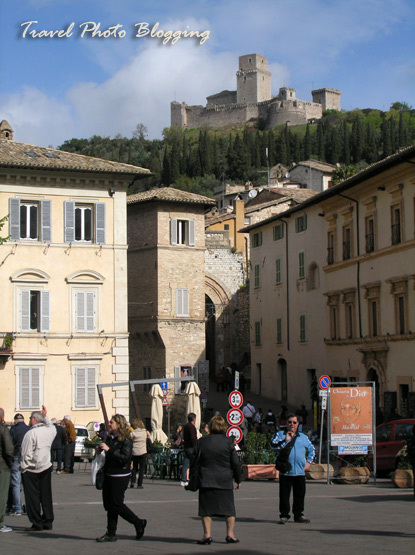 Since our plans were already set and some reservations confirmed by that time, we decided to go to Perugia anyway and try to fix things on the way. A phone call in the morning changed the whole thing - they told the guy from the hostel there is just one free space left in the first class that morning. As luck would have it - this was the one class M. preferred of the whole bunch. It was starting in a half an hour so we had to hurry. Luckily the Perugina factory is located relatively close to the hostel. When we entered the factory we were led into a "classroom" designed especially for such chocolate making classes. 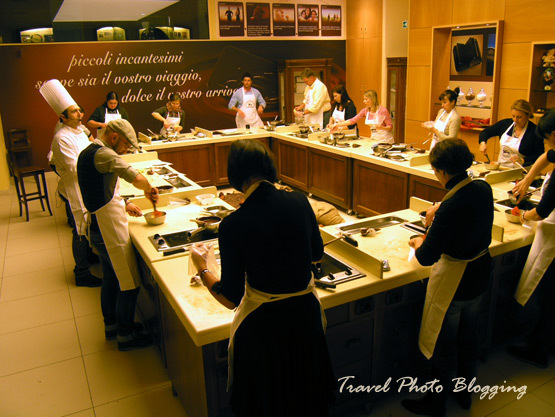 Since M. has taken the last available spot we first confirmed our reservation directly with Maestro Alberto. He also agreed for me to go along as a photographer for free. How cool is that? The class itself included everything from a bit of theory, chopping large chunks of chocolate, melting it, pouring it into plastic molds and filling them. 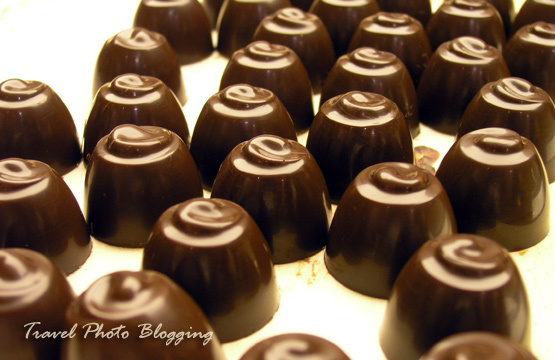 Two kinds of filled chocolates were followed by chocolate truffles. There was also a load of really useful practical advice given during the course. 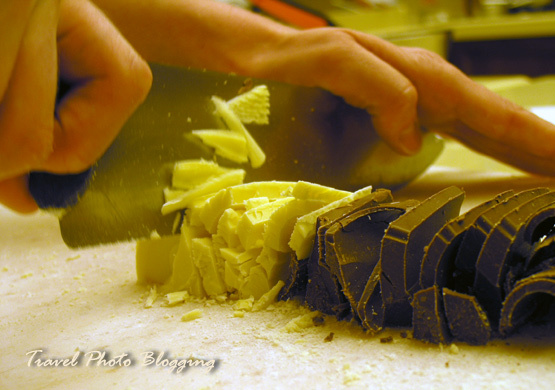 For instance: did you know temperature is essential when tempering chocolate? Only tempered chocolate will produce a finished product with a professional sheen, snap and taste - and your creations will not bloom when kept at the proper temperatures. 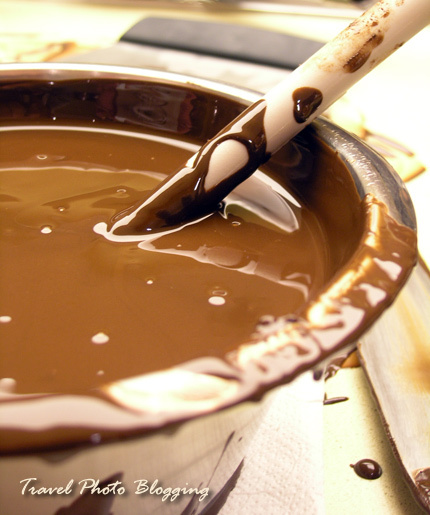 When melting it, dark chocolate should reach 45°C (i.e. 113 F). Cooling it down to 31°C (i.e. 88 F) ensures forming of proper type crystals inside chocolate. Before making a reservation you should take into account classes are only held in Italian (at least according to what I was told). We would have managed to get a great deal out of this even in Italian, but got lucky again. Just next to us there was this US couple with their own interpreter. He agreed to help us out on a few technical terms and details. All in all - the whole thing worked out just great! The class took over 3 and a half hours and we could take with us everything that was made. We could also keep all chocolate leftovers which were perfect for a chocolate fondue back home. I think for 60 euro it was definitely a good value class. And that is only an opinion of an innocent bystander/photographer - M. was more then thrilled with the outcome. She is still raving about it every time the topic pops up.